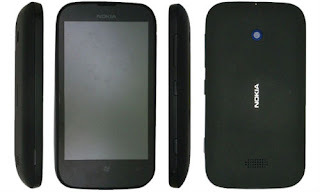 Nokia's cheapest Windows Phone Tango-based smartphone the Nokia Lumia 610 is expected get a still cheaper cousin – The Lumia 510, a Nokia phone that goes down a model number, but up in features. Nokia has been found to be working on yet another cheap Windows Phone smartphone the Nokia 510 and the device has been spotted in China by Bai Du. The smartphone has a similar set of hardware features as the Nokia Lumia 610 available in markets right now, but runs the Windows Phone 7.8 OS upgrade that Nokia has promised.The Lumia 510 will come with a 4 inch display with a resolution of 480 x 800 pixels. Nokia Lumia 510 is expected to be an affordable smartphone, hence it will have low end hardware specifications with an 800 MHz processor, 256 MB RAM and 8 GB of memory. Along with that the device will also feature a 5 megapixel camera and MMS capabilities, which is almost similar to the Nokia Lumia 610 currently holding the limelight for the cheapest Windows Phone device. We’re assuming that based on the model name, then it may be Nokia’s first sub $200 Windows Phone. Let us see how the Lumia 510 turns out to be..
0 Respones to "Nokia Lumia 510 found in China, runs Windows Phone 7.8"